It is the desire of all humans to live long on earth and fulfill their purpose for existence. Many have desired to live up to 80, 90, 100, and some even wish to live longer. While this desire to live long is a legitimate one, it often happens that people die when they least wished or expected. Historically, women live longer than men and this trend may continue for centuries and perhaps longer. Even with the sizable risk conferred by childbirth, women lived longer than men in 1900, and it appears that women have out-survived men at least since the 1500s, when the first reliable mortality data were kept. Sweden was the first country to collect data on death rates nationally; in that country's earliest records, between 1751 and 1790, the average life expectancy at birth was 36.6 years for women and 33.7 years for men. Death rates in less developed countries, whose citizens have limited access to cars, guns, and maternal care, also provide a measure of mortality before modernity. 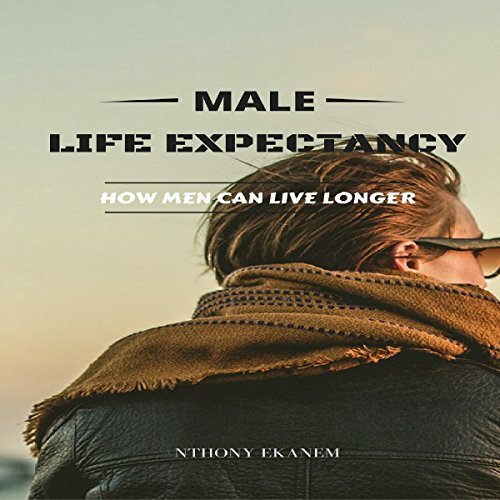 At present, the only countries in which male life expectancy exceeds that for females are those with long-standing sexual discrimination - including Bangladesh, India, and Pakistan - where social pressures and practices such as female infanticide and bride-burning result in unique losses of females. The fact that women live longer than men does not necessarily mean that they enjoy better health than men. It could be that women live with their diseases, while men die from them. Indeed, there is a difference between the sexes in disease patterns, with women having more chronic non-fatal conditions - such as arthritis, osteoporosis and autoimmune disorders - and men having more fatal conditions, such as heart disease and cancer. I have heard for many years that women outlive men but I didn't know all the reasons why. This audiobook does a great job of breaking down the top reasons in America as well as in different countries.